This is a very quick one. 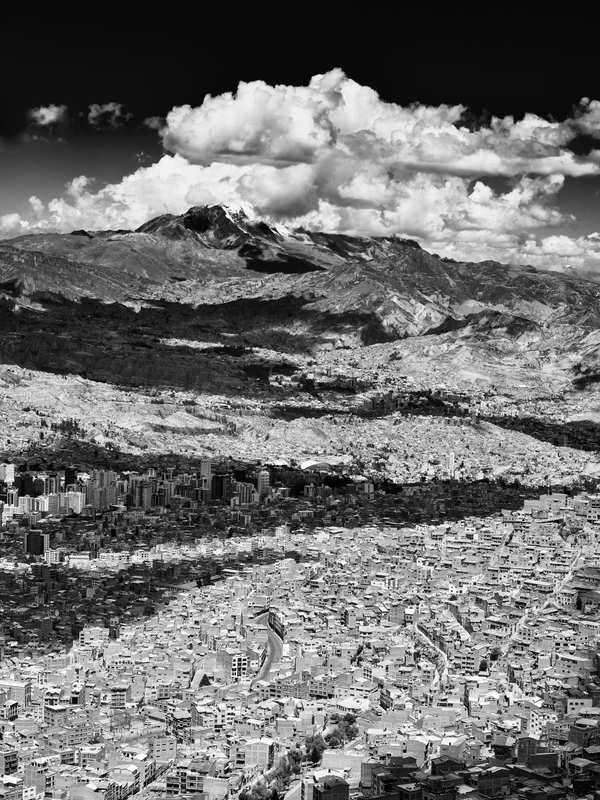 It’s a view over the city of La Pas in Bolivia. Click the image to zoom in and it’s truly an amazing sight. Robin, Another inspirational image which offers so many LEARNING opportunities for the likes of me. I was relieved to discover that it appears to have been taken with your EM-5, possibly with the 12-40 at full stretch, but the things that I want to know about are what you did in Photoshop. For example, altho’ I zoomed the clouds almost to pixel level, the lack of noise was amazing. This image is worthy of a LensCraft tutorial. Hi Mike, yes it will become a lenscraft tutorial. Yes it was taken with the EM5 and the 12-40 lens. The reason you can’t see any noise is due to a few things. Firstly I exposed the image to the right even with a ND Grad in place. Secondly I have avoided adding any structure to the sky. Thirdly the image has been downsampled which tends to hide noise and artefacts. Fourth – well you will need to wait for the tutorial which will be out soon. Excellent! This needs to be a big print. Stitched? No, not infrared. I didn’t take the infrared as I was going u to 6,000m and didn’t want the additional weight. The EM5 plus lenses was heavy enough. The effect you see here is all done in Nik Silver Efex. The yellow filter and negative Soft Contrast have a lot to do with it. Tutorial coming soon. Mon Dieu, it is quite fantastic. Thank you. And how did you know I have been back in France! Another inspiring image Robin so in focus from front to back, I agree it would make a good tutorial as to how you took and processed the image. Thank you. I will work it up into a tutorial given the comments on the blog and the emails I have received. It may take me a few days though. I think it might also hold some surprises for people given the comments.